KARL MARX WORKS (Eastern Germany). 1500hp. Imported in 1969. In operation. Same year that W1 imported with recommendation of Railways General Manager Mr. B.D. Rampala those days. 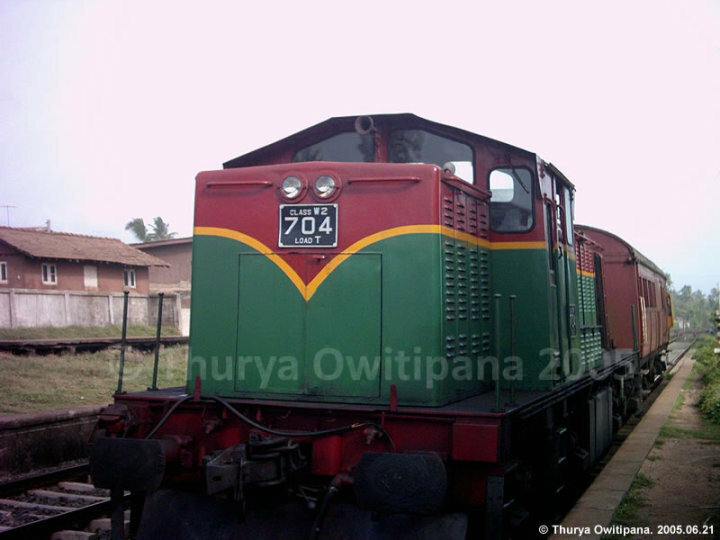 The last diesel hydraulic engine class in Sri Lanka railways. These engines has Hydro dynamic brakes instead of electric dynamic breaks which are in diesel electric locomotives. The manufacturers made 15 nos of locomotives and 14 nos exported to Sri Lanka. First one of the batch was kept with them as a sample model. But later with some problems in that company they exported it to Sri Lanka and added to service as No. 729. This engine is said to have slight differences from others in same batch.